Nashville International Airport could still get a light rail system, even though the city’s proposed transit plan failed to pass last year. 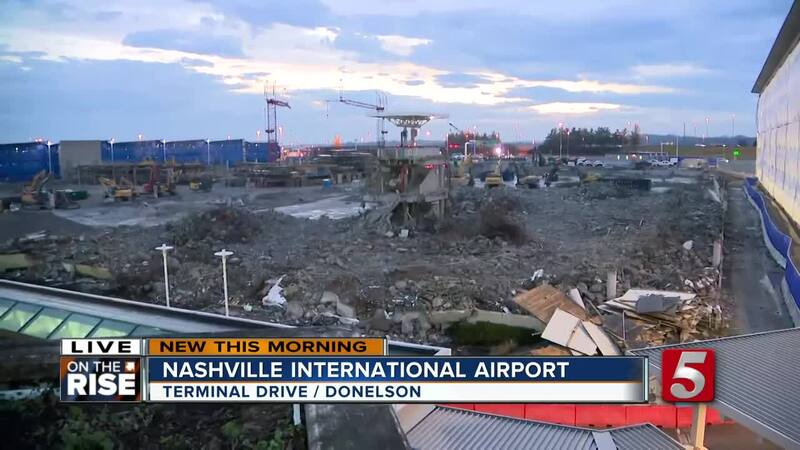 NASHVILLE, Tenn. (WTVF) — Nashville International Airport could still get a light rail system, even though the city’s proposed transit plan failed to pass last year. If you lived in the Nashville area last year, you remember the massive “Let’s Move Nashville” transit vote. You also remember that it failed by a large margin. But one of the components could still happen: a light rail leading to the airport. BNA says it's moving forward with its original plan, it just needs word from the city on what to do next. As part of the transit plan, a light rail would have been added from downtown to the airport, with a stop at Murfreesboro Pike. At the time, the airport was willing to pay $200 million for it, to cover the line from Murfreesboro Pike onto airport property. Federal regulations limit BNA from paying for the rail to reach further. That means Metro would have to meet the airport along the way, paying to connect. Airport staff say they are still in talks with the city on the possibility of a future light rail and are currently building new adjacent garages to leave room for a line to enter in between them. Other options discussed include Bus Rapid Transit to move more people to and from the airport. If the city opts to skip a light rail line, the airport could still build its own on property, connecting the current terminal to a future terminal, in the BNA Master Plan.